A mix of mountain charm and a modern feel! This beautiful Dollar Point home is the perfect property for large families with almost 3,000 square feet. Spacious with 2 living areas, 2 bonus rooms, 2 decks and a serene outdoor living space. Beautiful front entry and professionally landscaped with sprawling lush lawn, flagstone paths, up-lighting to mature trees, stream feature and play structure. 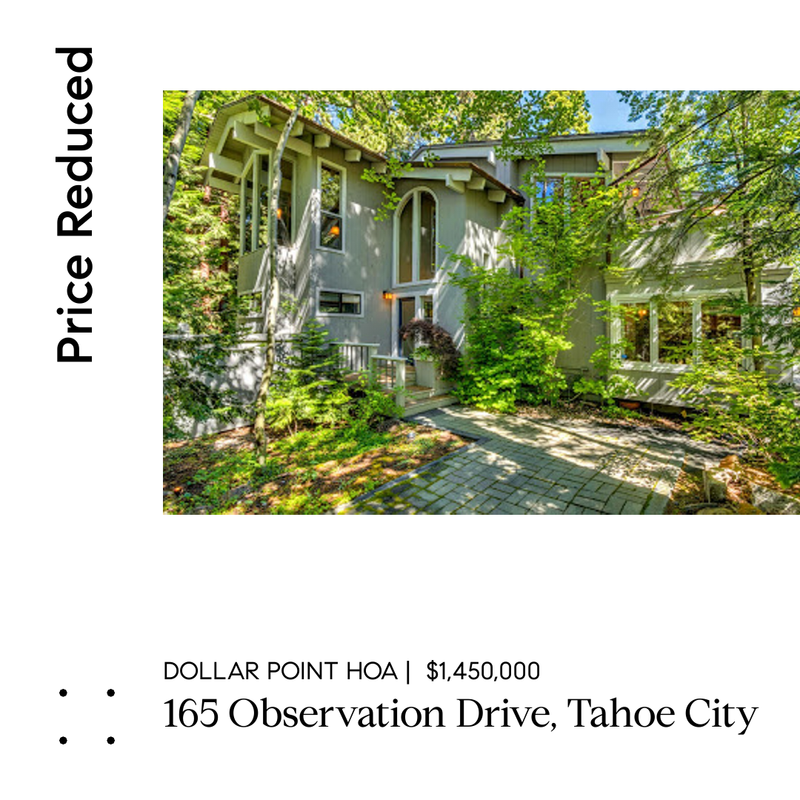 Located in one of the North Lake Tahoe’s desirable neighborhoods for it’s highly sought-after HOA amenities with private beach, pier, buoy, and a short walk to the pool and tennis courts. Enjoy the outdoors with nearby trail systems and bike paths, cross-country skiing, and minutes drive to downtown Tahoe City.